NO, you don't need to be a Teacher to purchase these great deals. Scroll down this page to see all of our Teachers Specials. 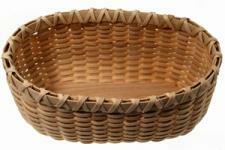 Are you teaching your first Basket Weaving Classes? 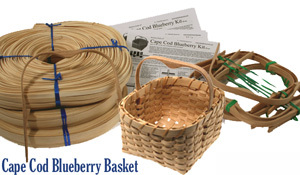 If so, we highly recommend our How to Teach Basket Weaving booklet by Linda Hebert. It's money well spent to assure that everything goes smoothly. See details below. Are you an Art Teacher? Visit our Art Teachers page for lesson plan ideas, variations, basket history, National Visual Arts Standards and more helpful teaching information. 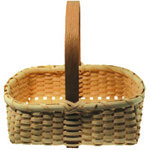 Please place your teaching order in plenty of time to allow on-time delivery for your basket weaving event. If you find that you need to ship via UPS Next Day Air, the UPS charge is usually about FIVE TIMES the UPS Ground charges (It's about $60-$110 for UPS Next Day Air charges to ship a 6 to 12 lb package). 3 Day Select is the most reasonably priced of the Air deliveries. It arrives on the 4th day after you order. Eg., order on Monday, receive 3 Day Select on Thursday. AIR ORDERS should be placed via phone at 1-800-852-0025. Teachers, you have the skills to teach Seat Weaving too! There are many people who would welcome a Seat Weaving class in your area. 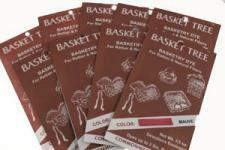 Visit our Books & Booklets page to see the many easy to teach styles that are available. Yard sales and Flea markets are full of inexpensive chairs lacking seats.